When you own a dog, safety and security should be one of your biggest priorities. Dogs are curious and rebellious creatures that will take every chance they get to explore the world around them. Even the most well-trained pup will have their moments of bad judgment. While you could easily keep them cooped up in your home all day, that option isn't the most realistic or beneficial. Dogs need to exercise and play. But what happens if they go beyond the confines of safety? Wireless fences, also known as invisible fences, are a great option for giving your dog freedom while preventing them from going outside designated boundaries. Wireless systems use the principles of negative reinforcement to stop your dog from straying. When they reach a boundary, they receive a light electric shock. There are two main types of wireless fences: fully wireless and semi-wireless. Semi-wireless fences utilize a buried antenna wire and a receiver collar. Fully wireless systems use a radio transmitter. Both options can help you keep your dog safe. However, each design has its own unique quirks and advantages. Generally, semi-wireless are recommended over 100% fully wireless systems because they're more versatile, can be used on uniquely-shaped properties, and don't have as much interference issues. With that being said, it's important to choose a system that works for your particular property and dog. Here's a list of some of the best wireless dog fences on the market. 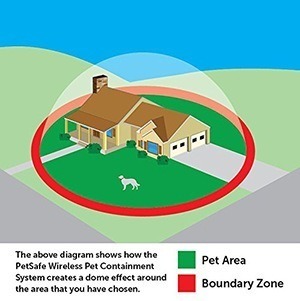 This wireless fence from PetSafe is capable of covering half an acre of land. You can easily adjust the boundaries up to 90 feet in all directions of the transmitter. The included collar is waterproof for safety and includes 5 levels or correction. There's also a tone-only mode and a battery level indicator. To help with the training process, the system comes with white flags that create a visual boundary line. The included transmitter is small and can be mounted on a wall. While the kit comes with a single collar, you can add as many additional collars to the system as you need. 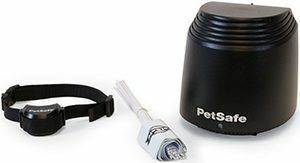 Another great option from Petsafe, this wireless fence system is designed to be portable. It can be used at home, in an RV, or anywhere else that has access to power. The radius can be extended up to 105 feet. The system comes with a single collar that has a rechargeable battery. The battery can last up to 3 weeks on a single charge. If you have multiple dogs, unlimited collars can be added to the system. The collar has 5 levels of correction and a tone-only training mode. 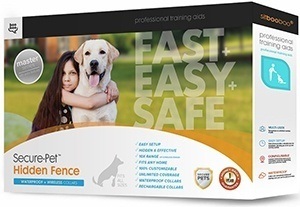 Help two dogs learn their boundaries with this wireless fence kit. It comes with two training collars and a transmitter that's capable of creating a boundary as large as half an acre. Both collars are waterproof for added longevity. They're powered by a replaceable 6-volt battery. The system uses a light static shock to train your dogs. Before they cross the designated boundary lines, the collar emits a warning tone. Overall, the fencing kit is a versatile option that's easy to set up and use. This unique wireless fence is designed to keep your dog away from a specific area. It has a smaller boundary that can be set up to 8 feet in all directions. The transmitter is completely wireless. It utilizes 4 D batteries. To help blend in with your landscaping, the transmitter is designed to look like a rock. It's also waterproof for protection from the elements. The included collar has an automatic safety shut-off system to keep your pooch safe from harm. It also delivers a high-frequency tone as a warning to help establish your boundaries. 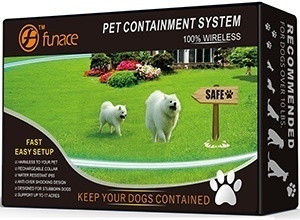 Create an invisible fence around your entire property with this system from FunAce. It's capable of covering up to 17 acres of land. The boundary can be incrementally adjusted to have a maximum radius of 500 feet. The included wifi radio transmitter is completely wireless and runs off of single-use batteries. The collars come equipped with a rechargeable battery. They're also water-resistant and have built-in protections to prevent your dog from being shocked too much. 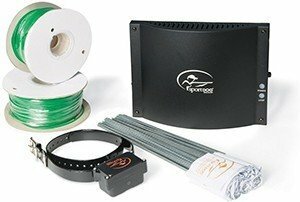 The SportDog electric fence system can cover 1.2 acres of property with the included 20-gauge wire. However, the transmitter is fully capable of creating massive boundaries that cover up to 100 acres. There's no limit to how many collars you can add to the system. The collars are powered by a small 9-volt battery that lasts between 6 and 12 months. You can adjust the static shock delivered by the collar to 4 different levels. There's also a low battery indicator and built-in drainage protection to preserve power. This in-ground semi-wireless fence is designed for heavy-duty security. It utilizes thick 14-gauge wire to create the boundaries. It comes with up to 5,000 feet of wire to create a massive area up to 25 acres in size. The transmitter can be adjusted to improve performance. You can change the radio frequency to minimize interference with nearby fences. The included collar is very small. It weighs just over an ounce and comes with two different types of contact points so that you can choose the option that works with your dog's fur. You can also add multiple collars for all your dogs. 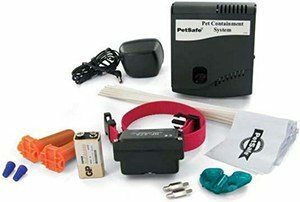 If you have a stubborn or handicapped dog that's difficult to train, take a look at this system from PetSafe. It has a smaller transmitter that's can be used to cover up to 1.2 acres of land. The collar has a number of different options to customize the training process. If you're working with a static shock, there are 5 different levels to choose from. There's also a tone and vibration mode. This is ideal for dogs that are hearing impaired. Instead of a traditional static shock, the prongs on the collar vibrate to alert your pup. From Sit Boo-Boo is this versatile electric fence. It comes with copper antennae wire that can be installed above ground or buried below. The included wire is enough to cover up to 1.2 acres. However, the system is capable of covering up to 5 acres with additional wire. The collars are completely waterproof. They have 5 different static correction levels. An unlimited amount of collars can be added to this system. The included transmitter is sleek and features simple controls to help you make the most out of your system. While wireless and semi-wireless fences may differ in terms of performance and efficiency, they operate very similarly. They serve the same purpose and utilize many of the same components. When you're shopping for the right system for your dog and property, there are a number of things you need to consider. Wireless fences need to be able to cover a designated area efficiently. The two system types achieve this feat very differently. To determine which is right for your pup, you should take a look at your property. Fully wireless systems rely on a central transmitter that's placed in the middle of your property. It then emits a circular radius that your dog can't go past. The size of this radius can vary from manufacturer to manufacturer. Smaller systems can only cover 1 acre of land while robust options can cover up to 100. Semi-wireless systems are a bit different. Rather than relying on a central transmitter, antennae wires are used to create the boundary. The size of your fenced-in area will depend entirely on the length of the wire and the strength of the attached transmitter. The main benefit of this system is that you can use to create any shape that you want. Most properties are rectangular in shape, so you could easily go to your property line and cover the perimeter. You could also go around oddly-shaped obstacles like gardens or buildings. Beyond the coverage area, you need to consider a system's effectiveness in creating a solid boundary. As mentioned earlier, a semi-wireless system is highly-recommended because there are fewer obstacles to work around. If you can bury the antennae wire, you can rest assured that the system is working. Fully wireless systems, however, can be affected by a number of things. Transmitters often have a hard time going through metal or wood. Metal siding, roofs, and even cars from a nearby driveway can cause interference. To be successful, transmitters must be placed on flat terrain with no nearby metal objects. If you have multiple dogs, you need to make sure that the wireless fence you choose can accommodate multiple collars. Some systems are only built for one dog while others allow you to add multiple collars. It's best to do the training at one time. Having one dog on the system while another one can roam freely beyond the boundaries will jeopardize the training process. Check the system limits to see if all your dogs can be connected. Systems can vary dramatically in the user experience and installation process. Generally speaking, fully wireless systems are easier to install. All you have to do is set up the transmitter in an appropriate spot and begin setting your boundaries. Semi-wireless systems are a bit more labor-intensive. They require you to bury the antennae wire. However, specially-designed tools can simplify the process so that you don't have to work with a shovel. The wire needs to be buried at least a foot underground to ensure that it's not dug up by your dog. Once the system is set up, all you have to do is manage the collar settings. From there, it's just a matter of putting the collar on your dog and helping them get comfortable with the experience. Setting up the wireless fence is only the first part of the process. Once the boundaries are set up, you won't have to do deal with the transmitters or wires anymore. The part of the system you'll be dealing with on a regular basis is the collar. 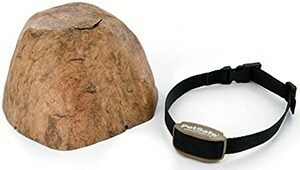 This piece of gear is what trains your dog to stay safe. Here are some important considerations to think about. The collar is an integral part of the training process. You need to ensure that the shock delivered to your dog is safe and effective. Many brands have various levels or correction. While most utilize a small shock, there are some models that only create a strong vibration. These levels can be adjusted to match your dog's sensitivity and size. Typically, smaller dogs will be on the lower end of the spectrum while large dogs need a bit of a higher kick. You can always experiment with the correction level until you find a happy medium for your dog. Some owners even lower the correction level over time once their dog starts to learn. In addition to shocks, some collars may emit a tone. Depending on the particular model, you may have a tone-only option or a warning mode. The tone-only option is great for puppies and sensitive dogs that can't handle the lowest correction level. With warning mode activated, collars will emit a tone as your dog gets closer to the boundary. If they cross it, the collar will also deliver a shock. This feature can be used to reinforce their training as you gradually decrease the correctional level. These training collars have a unique fit. It can be tricky to achieve a snug fit on the first try. Collars usually have two small prongs that are designed to make contact with your dog's skin. They're blunt and have a rounded edge for comfort. The raised designed is made to go through your dog's hair. To be effective, the collar needs to be fitted perfectly. If the collar is too loose, the contacts will slide off, preventing your dog from feeling the shocks. If it's too tight, they're at risk for injury. To ensure that you get the right size, measure the circumference of your dog's neck. Pay close attention to the collar's label and make sure that your dog's measurements fit within its range. Collars are adjustable, so take the time to get the right fit. Wireless fence collars are made to be used outside, so it's good to get an option that has some form of protection from the elements. Water and electricity don't mix, so it's important that you pay attention to the collar's label. Manufacturers can design these collars to be waterproof or water-resistant. Water-resistant options are great for general wear. They can withstand some rain and the occasional splash of water. However, they won't hold up to prolonged exposure or a dunk in the pool. 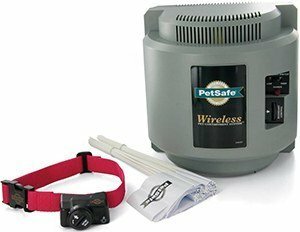 If you have a pool or lake within the boundaries of your wireless fence, you need to invest in a waterproof collar. Waterproof collars are completely sealed. 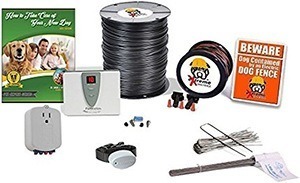 All the electrical components are protected to ensure that your dog and investment are safe. Some manufacturers also offer weatherproof collars. They're designed for maximum durability. They can withstand water, intense heat, strong gusts of wind, and much more. The batteries in the collar will give it the power it needs to receive signals and deliver the correctional shock. Batteries can affect the way you use the system and determine how much you'll spend on additional maintenance costs. 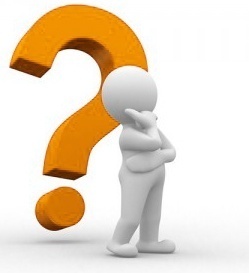 Manufacturers can choose to use a rechargeable battery or single-use batteries. Single-use batteries hold one charge and nothing more. They can't be recharged, so you'll have to buy a replacement every time they run out of juice. While this may not seem like a huge deal, the costs for replacement batteries can add up quickly. The costs increase dramatically if the collar uses a unique proprietary battery. Take a look at the collar's battery requirements to see if it's a feasible purchase. Rechargeable batteries are much more convenient and can help you save a lot of money in the long run. These batteries are built right into the collar. In most cases, you won't even be able to remove it. After the battery has run out of power, simply plug it into a charger. Before you purchase a collar, make sure that it comes with a compatible charging cable. In addition to the type of battery a collar uses, you need to pay attention to its capacity. The size of the battery will determine how long it can be used before needing a refresh. Some models are capable of lasting for months on a single charge while others will only last a couple of days. It's recommended that you wait until your dog is at least 6 months old to start training with corrective shocks. You can utilize flags and other training methods if you want to get started a bit sooner. There is no maximum age for dogs to use an electric fence. The shock from a wireless fence is harmless. Dogs can use it past 12 years of age as long as they're healthy. Can wireless dog fences be used with toy breeds? Dogs lighter than 12 pounds should not use a wireless fence system. The large shape and significant weight of the collar will make it difficult for tiny dogs to wear. Furthermore, small shocks from the lowest correction level are too strong for a dog of that size. Will the static correction be painful for the dog? The corrective shock that comes from a collar is designed to be annoying and demand your dog's attention. It's not designed to harm them. The shock is a mild electrical stimulation that feels like a tingle. There are many safeguards within the system to ensure that the training process isn't painful. Many systems also have level adjustments to make sure that the static correction only startles your dog. Can a wireless invisible dog fence be used on a sloped yard? Fully wireless fences will have problems working on a sloped yard. The system prevents the transmitted signal from going up or down hills. 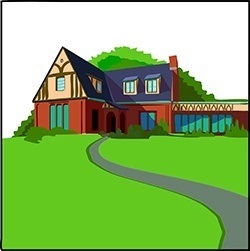 If your property is sloped, you may want to invest in a semi-wireless system. The wire can be buried in the slope to ensure that the area is covered. Do electric dog fences really work? 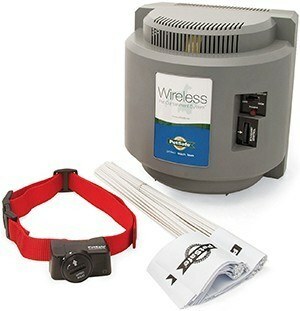 Wireless dog fences are a great option for keeping your dog secure as long as they're installed and used correctly. Once they're in place, they'll always be there to provide your dog with a light reminder of where they should and shouldn't go. You won't have to continually remind your canine companion of their boundaries. You can let them roam your property freely and rest assured knowing that the fence has you covered. Over time your dog will learn their limits and naturally stay within the confines of the fence. Finding a dog fence for your property is easy if you know what to look for. Whether you choose to go with a fully wireless fence or a semi-wireless model that's buried in the ground, you won't regret your purchase. These high-tech training tools can help your dog stay safe while having fun.